Whisky Related StuffWhisky related stuff like drinks, food, books etc. Beer ReviewsAll posts regarding beer. I have to make a quick post about this Irish whiskey cream liquor filled chocolate. Made by Böhme, these are delicious. The powerful Irish cream and whiskey flavor is delicious. The chocolate isn’t bad either, complimenting the filling. I’ve reviewed whisky chocolate before. Last time it was Dammenberg’s chocolate made using Laphroaig 10YO. I have to admit, Böhme’s whisky chocolate tastes better and have a better whisky feel, than the Dammenbeg’s versions. Probably the cream liquor makes its mark in a positive way. Finnish whisky enthusiast and the author of WhiskyRant! A digital marketing professional by day – a whisky reviewer and informer by night. WhiskyRant! 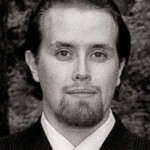 is a blog written by Johannes Lindblom – it has lots of whisky reviews and some industry news. Enjoy reading and please, feel free to comment. © 2017. All Rights Reserved. WhiskyRant!